The Kristi Thompson Memorial is awarded annually to one of the Women on the Women's team. enthusiasm for the sport of Tug of War, Dedication to the sport and to the team and finally being a friend to your teammates. The award is selected by the athletes to be awarded to one of their teammates. An athlete may win the award only once in their pulling career. The criteria in which the award is based is all the qualities in which Kristi posessed. She was a member of the club from 1977 to 1981 and was tragically taken from us right before the 1982 season. The club decided in memory of our friend that a memorial would be awarded each year to one deserving teammate who posesses the qualities of Kristi. In hopes we may always remember first why we are teammates and to encourage idea of teamwork. 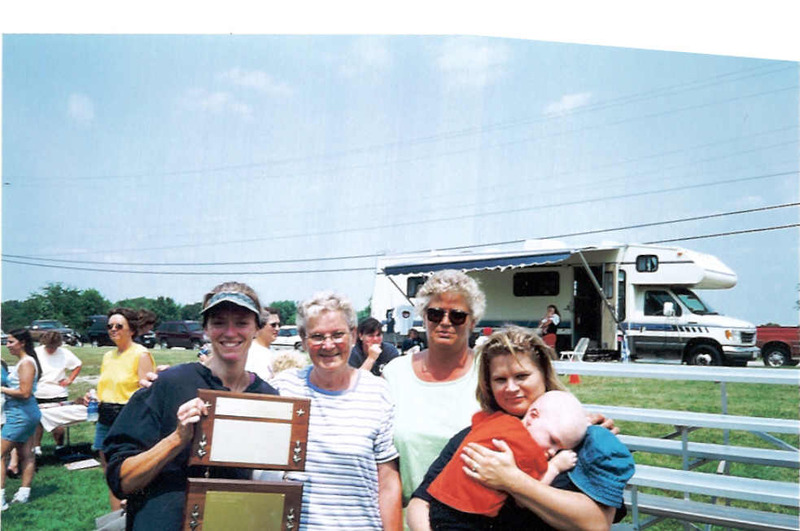 Linda Barry receives Kristi Thompson Award from Kristi's Family 6/29/2002. 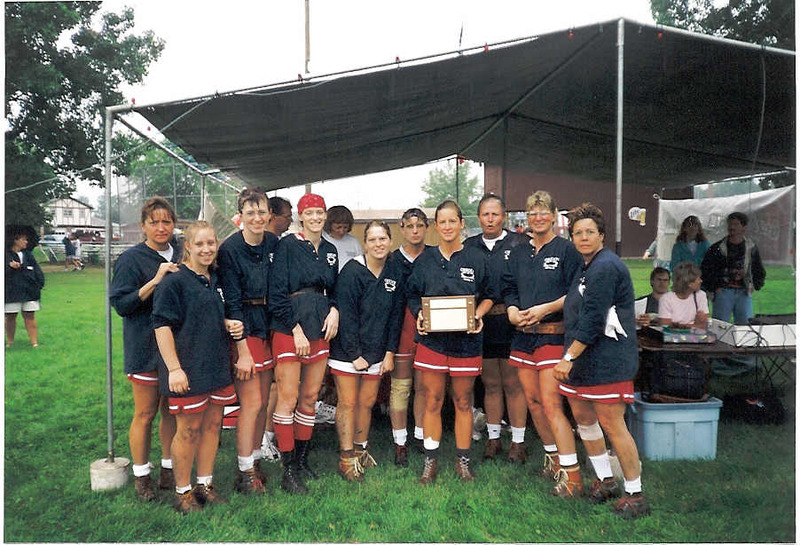 The United States Amateur Tug of War Assoc awards a womens club with the honor of the Doug Campbell Award each year at Nationals. The award is in memory of Doug Campbell former treasurer of the National Assoc. The award is based on good sportsmanship and protraying good team work as a club. The Oregon women has won the award many times since its inception in 1988.